It is so easy to fall in love with Saratoga Springs because there are endless surprises to enjoy. Have one visit and you’ll likely be planning your next. As you stroll through bustling, historic downtown this time of year, you’ll see diners enjoying sidewalk dining at restaurants like Mrs. London’s Bakery, a traditional French boulangerie with some of the most gorgeous pastries imaginable. Shop for clothing at the chic and slick new Caroline and Main, owned by the same proprietor as Saratoga clothing store staple, Lifestyles of Saratoga. Pick up a whinnying stick horse or a game of horse bingo for the little one in your life at G. Willikers Distinctive Toys. Check off the titles on your reading list or attend a book event at the wonderful Northshire Bookstore. As you shop and duck into art galleries along the way, you’ll note blooming flower baskets, horse sculptures, Saratoga’s signature flag, and miniature versions of the Saratoga Race Track finish pole complete with QR codes that reveal the history of the city. Part of Saratoga's rich history includes its famous carousel, one of fewer than 200 remaining in the US and the only remaining double-rowed carousel hand-carved by master wood carver M.C. Illions; the tails of these gorgeous horses are made of real horse hair! As you are enjoying downtown, come with an appetite to The Savory Pantry. Many of the city's points of excitement appear on our brand new Saratoga Landmarks Totes (toted below by our store mascot, Victor), which you can use to display your 'Toga enthusiasm while carrying goodies all around town. You'll be invited in by the rich smells of aged balsamic, spicy olive oil, and rich honey. The samples we are offering on any given day appear on our chalkboard out front (along with a cool sip of water for Fido in a bowl below). Whether or not a particular sample is out, we’ll be glad to open any product for you to try, so just say the word. We also want to share with you the stories behind our small batch and specialty foods and their makers, and are proud to introduce you to the years of knowledge and care that are distilled into every bite. Please ask! American Spoon's Apple and Onion Jam bursts with savory, sweet and tart flavors. Great to accompany a sharp cheddar cheese, or to turn your chicken or pork up a notch. The 2016 racing season runs from July 22–September 5, and the mid-August horse sales draw thousands. The sales are free to enter, and potential buyers and the public are all welcome. A unique sight to behold, the horse sales can be observed both indoors and outdoors. At the track, race-goers enjoy track-side picnics. The Savory Pantry makes picnicking easy with beautiful picnic baskets for two or four, Saratoga Cutting Boards, darling sweets like chocolate horse head medallions or specialty cookies with Saratoga themes, Cheese Accompaniments, Instant Antipasti, and so much more. If you are a stable owner or racing enthusiast, inquire about having custom silks or horse cookies made just for you. .In the evenings, Saratoga residents walk down tree-lined streets to join friends for cocktails on the porches of historic homes, giving the whole city a warm, welcoming, convivial energy. Whether you’re making cocktails on a Saratoga porch or you want to bring a bit of that enjoyment to your own happy hour, The Savory Pantry’s cocktail shop will help you easily make craft cocktails that you’re guests will be craving and referencing for a long time to come. Come try samples and we'll help you create a custom cocktail that's perfect for your next party. The Savory Pantry is so thrilled to be in the heart of this charming and historic city, and we thank you for supporting us for all your specialty food and gift giving needs! Step into The Savory Pantry, and you'll find an enthusiastic team of fellow food lovers ready to share a new taste, a new recipe, a new idea. Here, every taste tells a story, and we will introduce you to the people behind all that we offer. We believe that food unites us all, and that some of life's greatest moments are created around the table. 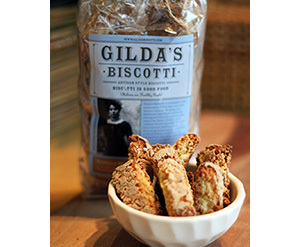 See what's "New & Noteworthy" in our online store, The Savory Pantry.